In a stunning new book, the artist J. Steven Manolis explains, "I have daily, early morning contemplative moments during which I envision art images and art books that I have read, and conclude that perhaps the entirety of my life has been about reading, studying, analyzing and admiring art books." Manolis' own KEY WEST: CHANGING COLORS is a striking hybrid of a volume, a combination of a travelogue and an art book highlighting the most recent paintings from the Miami-based Abstract Impressionist. Like Winslow Homer, Manolis, a seasoned and passionate traveler, frequently favors the watercolor medium; handmade paper and acquarelle paints are particularly portable. The finished works, which vary in size, also employ gouache and acrylic media. 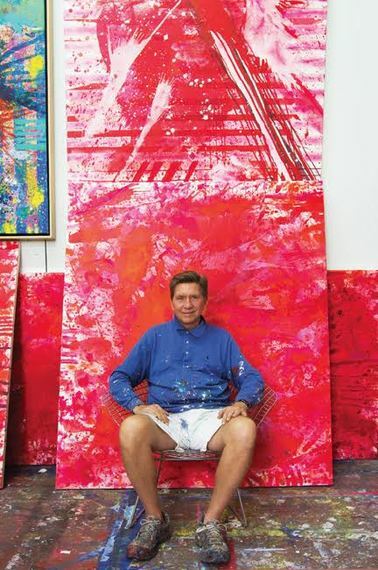 Some of Manolis' other vibrant paintings are large acrylics, which were created in his Little Haiti, Miami studio incorporating a myriad of Key West studies. 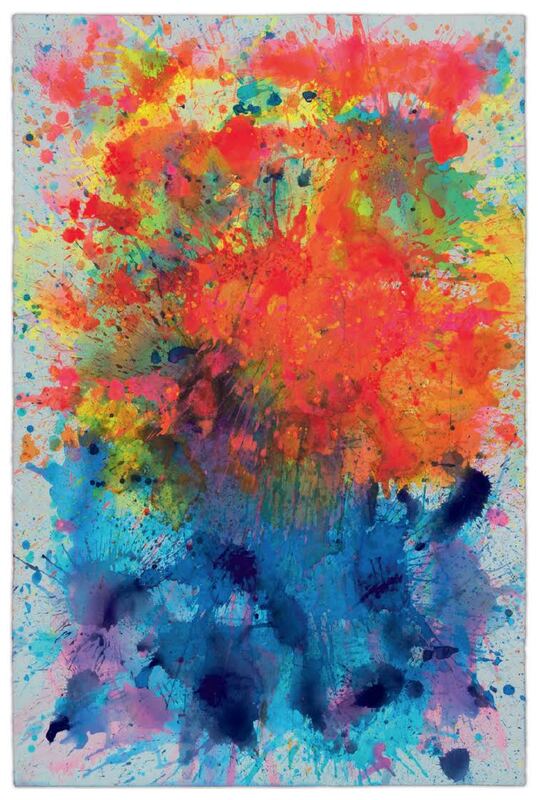 It seems that Abstract Expressionism, a movement generally associated with New York in the 1940's and 50's, is having a moment again now. The encyclopedic exhibit: 'Abstract Expressionism' at The Royal Academy of Arts (through January 2, 2017) has been the highlight of London's autumn art season, the first 'AB EX' museum survey in over fifty years. 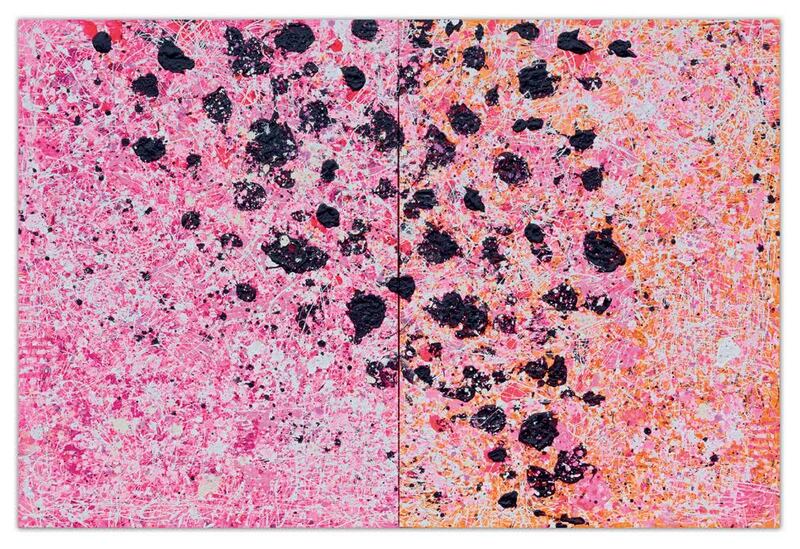 Along with the numerous Pollocks, de Koonings and Rothkos, there are a couple major works by the pivotal artist and teacher Hans Hoffman, and paintings by several of Hoffman's notable students, including Lee Krasner and Joan Mitchell. Gouache and watercolor on paper, 60 X 44 in. A direct link exists between Hoffman (1880-1966), one of Abstract Expressionism's founders and champions, and J. Steven Manolis. Among Hoffman's outstanding students from the 40's, along with such other luminaries as Krasner, Mitchell, Larry Rivers, Allan Kaprow, Robert DeNiro Sr, Alfred Jensen and Helen Frankenthaler, is Wolf Kahn. Kahn, the esteemed 89-year-old German-born American colorist, has been Manolis' teacher and friend for over thirty years. 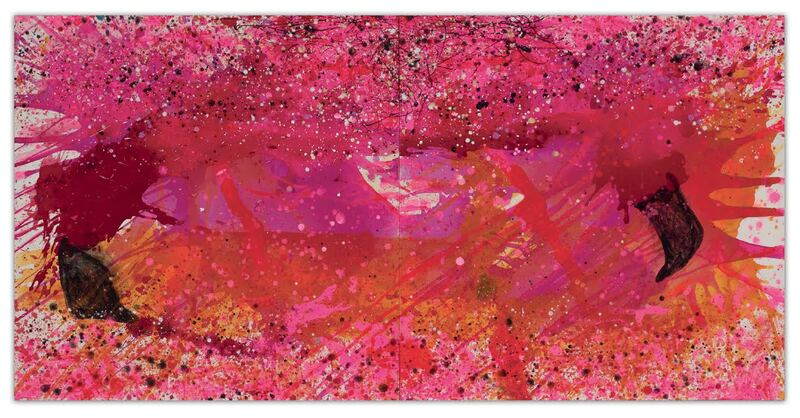 Manolis' work is therefore indebted to Hans Hoffman: Hoffman taught Kahn who taught Manolis. In his introduction to KEY WEST: CHANGING COLORS, Mark Hedden writes of his beloved Key West base, "It's an isolated, glittering, two-by-four mile fractal Rorschach test of an island out in the middle of the ocean. 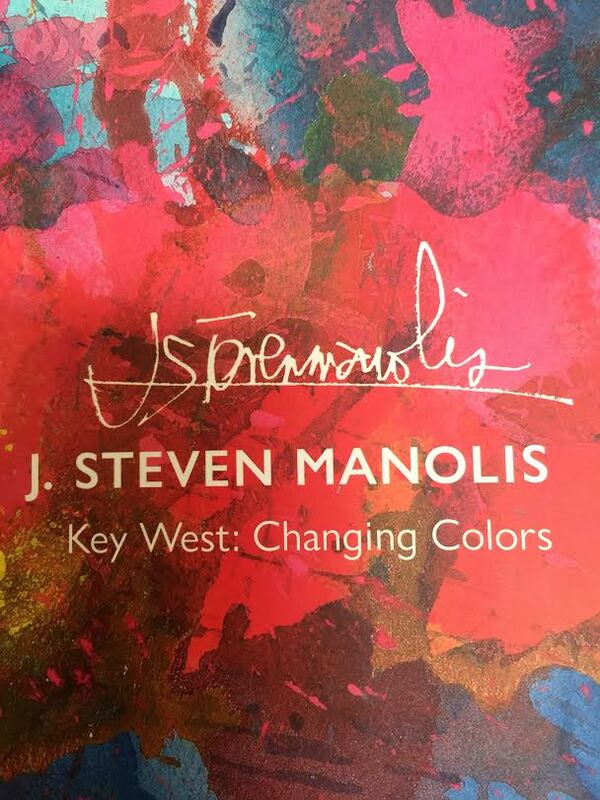 It does something to artists-"
J. Steven Manolis' compositions seem to capture exactly this rare Rorschach test that is Key West. 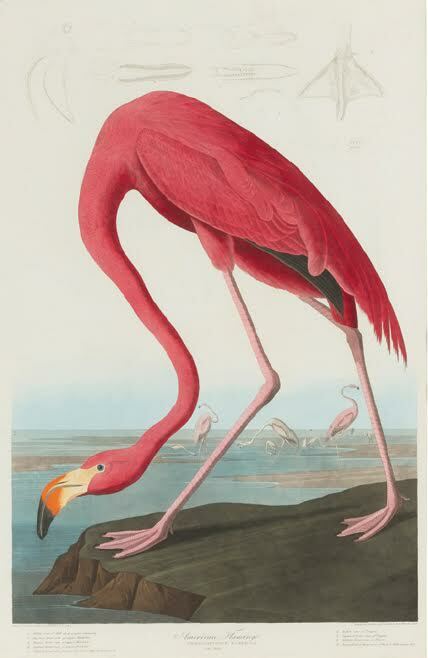 The paintings depicted in the book communicate the motion of the ocean tides, the vivid sunsets, and the seemingly pure emotions inspired by Audubon's pink and orange flamingo colors. Titles appear almost as important to Manolis as interpretation, and the Key West series presented in this book conveys titles related to nautical themes and the flora and fauna of the Florida Keys. His brilliantly colored paintings carry crystal nomenclature, titles including such evocative words as "Splash" and "Sunset" and "Flamingo". 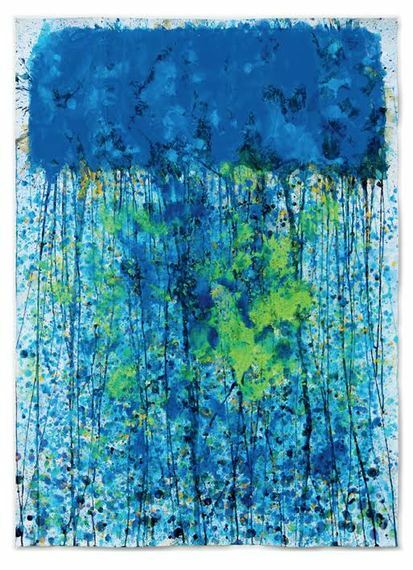 And Manolis has learned from Wolf Kahn's dictum: "Keep painting on that surface until you feel that even one more drop of paint applied anywhere would ruin the painting." The dust jacketed hardback book is extraordinarily beautiful, a feast of pulsating color, published in Belgium, with a custom slipcase and foldout spreads of Manolis' work. Dan Ellis is the book designer, the photography is by Alexandre Vignoli, and Susan Hall edited. Bruce Helander explains how J. Steven Manolis spent last winter absorbed in attempts to capture the elusive color and light of Key West. Helander writes in his essay, 'The End of the Road' (the island is now readily reachable by train or car, but truly is the end of America's southern roads), "I cannot recall a more perfect pairing of talent, skill and paint application to a more appropriate subject, and the results really are quite breathtaking." surrounded by his "Red World" Series. On Friday, December 2, Manolis will be signing his unique travelogue/art book from 7:30 - 9 pm at Book & Books, 265 Aragon Ave Coral Gables, Fl. (305-442-4408) In conjunction with a one-month solo exhibition of selected watercolors from KEY WEST: CHANGING COLORS. J. Steven Manolis will be awarded Books & Books first annual "Art Basel Miami 2016 Artist of the Year Award." There will be remarks (live streaming) from Stephanie Fernandez (Books & Books), Bruce Helander (art critic and book curator), and J. Steven Manolis (artist and author). 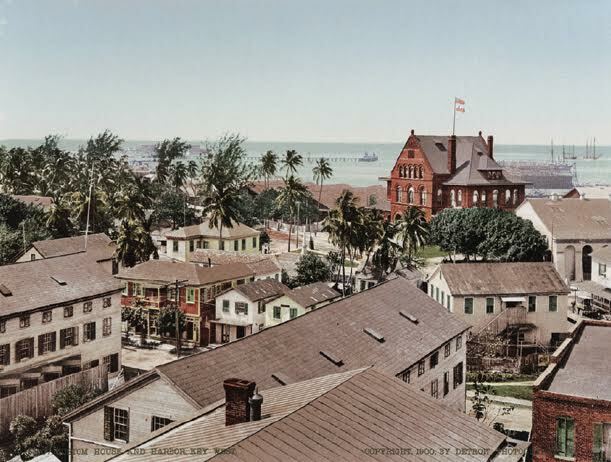 Partial Image of KEY WEST: CHANGING COLORS dust jacket. Watercolor, gouache and acrylic on paper, 60 X 40 in.